Best AT&T Approved DSL Modems For 2019 You Need To Get Now! If you want the best browsing experience, with security and speed, consider trying AT&T Approved DSL Modems. Apart from the guarantee, you enjoy that these are of the best quality, you will also be able to undertake your job with the confidence of knowing you are hooked with some of the best products in the market. Many of these products come with remote access that is unique and can be deployed from anywhere. You are updated continuously on any strange access, and you can easily block or close such access. Even more, with AT&T Approved DSL Modems you enjoy comfortable set-up and watch as your routers deliver at industry best. You don’t have to get stuck in the past, get hooked on to the fastest and finest internet access around. Check out our list of AT&T approved DSL modems and the leading routers in the market today. It is no secret that the ADSL business environment is competitive. However, AT&T is making it affordable with these DSL modems. Despite that, the brand does not compromise quality. Therefore, you can expect nothing short of excellence when working with AT&L DSL internet. Its design and features are as follows. Its design uses next-generation technology. That ensures that it delivers data as per the customer’s desire. 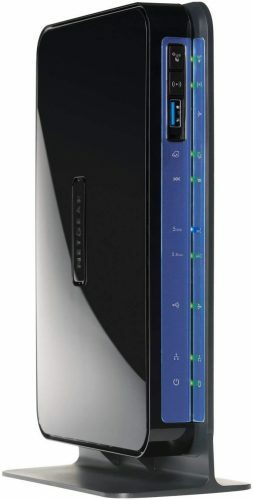 It has a wireless router with high performance hence a great home network. The high-quality materials of construction also boost durability. With such DSL models, the total cost of ownership is minimal. In addition to that, user satisfaction is a guarantee. It is compatible with ADSL 1, ADSL 2, ADSL 2 RE as well as ADSL 2+ because of its integrated PACE ADSL modem. It has also complied with both TR-067 and TR-100. Its Mac-based filtering enhances the safety even much further. The manufacturer offers the buyer a 1-year full coverage warranty. Dimensions are 1.3 x 5.6 x 6 inches. 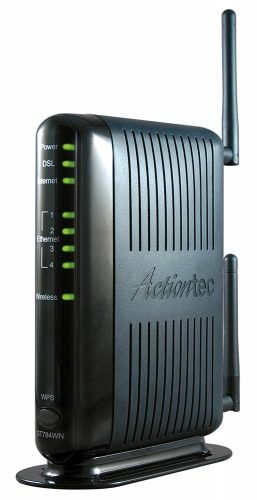 Our number 6 modem router is Actiontec 300 Mbps Wireless-N ADSL. Though it is compatible with ADSL CenturyLink and other major DSL service providers, you won’t be able to use it with AT&T U-verse. It gives you the access to connect all wireless devices. Some of the advantages of this modem are that it can be easily set-up with high-grade firewall and other security details. You are also assured of one the best wireless speed around with the 802.11N. Developed with the finest technologies around, you will enjoy full-rate ADSL 2/2+ modem, 4-port switch, and 300 Mbps wireless-N router. You won’t have any problem using this with older wireless devices. This is because its technology is designed to ensure backward compatibility. Lastly, you enjoy 24-hour customer services and supports. 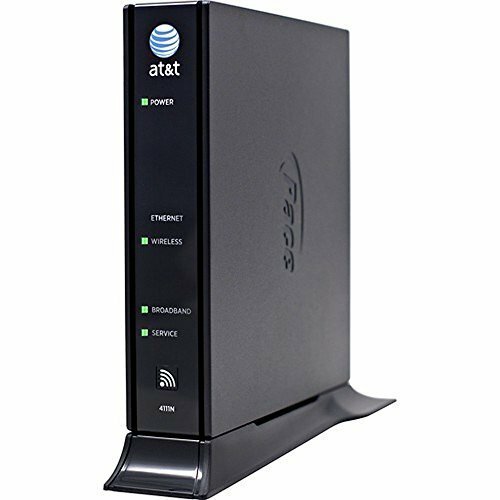 Here is another AT&T approved DSL modem that can be used with ADSL 1, ADSL 2 RE, ADSL 2, and ADSL 2+ (1 RJ-11). It is also TR-067- and TR-100- compliant. The PACE 4111N gives you high-speed connection with 802.11b/g/n access point with high-level security to secure your work online. The technologies used in the PACE 4111N are world-class, and it delivers exceptional results with great affordability. NETGEAR also manufactures the next DSL modems. They are compatible with various Windows OS versions. That includes Windows 7, Vista, XP, ME and 2000. It will also work with Apple Mac OS. You can purchase it for either home or office use. It is ideal for simultaneous downloads, music, video as well as online gaming. As a result of its design, the product uses wireless connectivity technology. It also complies with the standards of bodies such as Green. It has Green Compliance Certificate, Energy Star Green Compliance Certificate, REACH Green Compliance Certificate and RoHS Green Compliance Certificate among others. That shows its reputation. 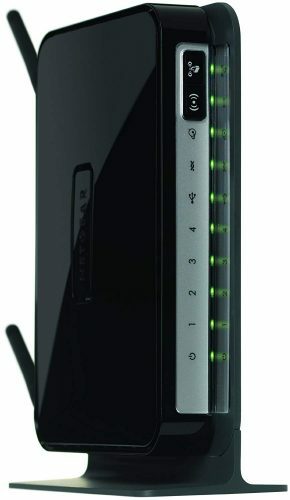 Its built-in DSL modem ensures that it is compatible with all the primary DSL internet service providers. It has 4 LAN ports. It also has 4 LAN ports. The ReadySHARE facilitates easy storage of downloads. Dimensions are 1.3 x 6.8 x 5 inches. Here is your deal for heavy, video streaming tasks over a stable network. 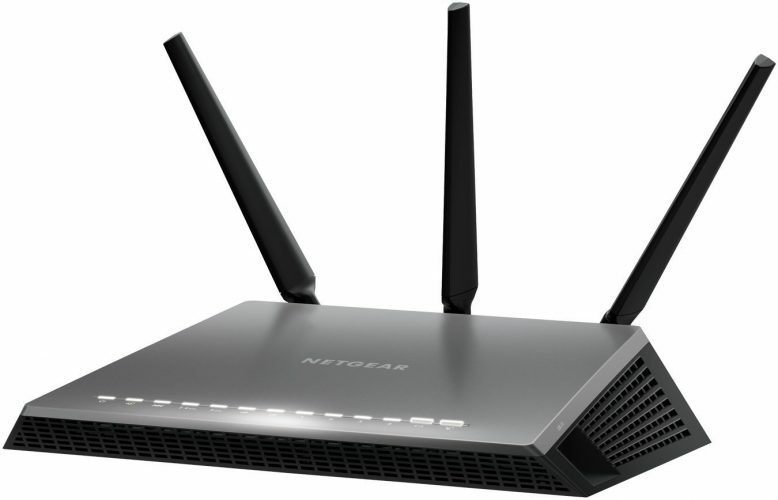 The NETGEAR AC1600 WiFi VDSL/ADSL Modem router has an unbelievable speed that delivers AC1600 WiFi and Gigabit Ethernet speeds. You will enjoy a fast VDSL for fiber broadband, and it works seamlessly with ADSL. You can deploy it to provide wireless connections to more than ten devices. 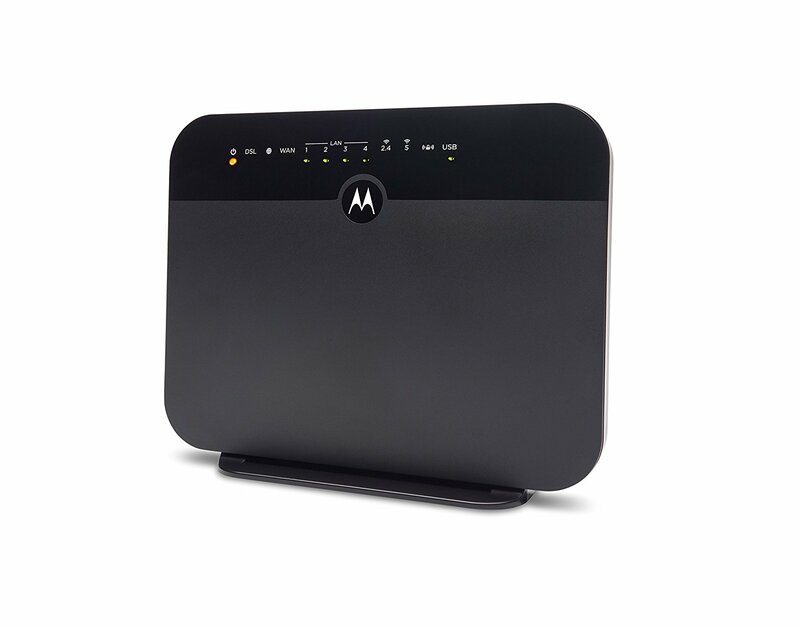 Even more, this modem router offers three times speed more than is available on 802.11N. You will also enjoy easy access to AC WiFi devices and enjoys HD streaming that boycotts wireless interference. For your mobile devices, you also have good connections for dual-band wireless on your Android devices, iPhones and iPads. Lastly, you have a simplified home networking in place that gives you remote access to control your network away from home. The control your access include Parental control of access, block WiFi devices, set-up wife for guess use and view the network map from anywhere. This product doesn’t come as a surprise because NETGEAR is renowned as well as a formidable brand when it comes to manufacturing DSL modems. It could have been the best, but it only supports the DSL providers. Regardless of that, it works well, and if you use DSL, I wouldn’t imagine a better option. It works excellently with the likes of AT & T as well as Verizon among others. Its design facilitates excellent connection thanks to the simultaneous dual band. As a result of the technology, it connects a lot of devices without interference. You are at liberty to connect via either Gigabit Ethernet WAN port or ADSL2 together with a built-in modem. Due to its high network speed, it is ideal for not only HD gaming but also HD video. It also has a wide range perfect for large homes. It is easy to manage it thanks to the NETGEAR genie app. Its operation is also a breeze because it is all a matter of Push ‘N’ connect. It also has a broadband usage meter. The guest networks promote security. The frequency is 2.4 and 5 GHz. Its live parental control helps you regulate the content that your children access. It has the ReadySHARE print. 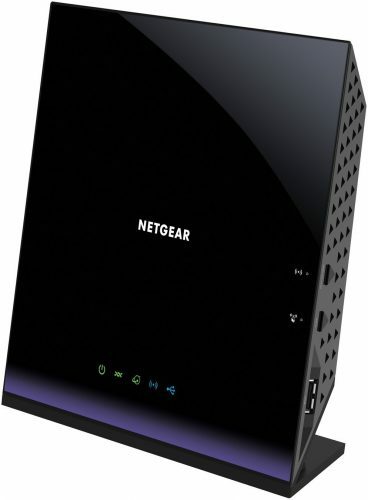 Our number two modem router is NETGEAR Nighthawk AC1900. Here, you have extreme WiFi speed that can give you up to 1900 Mbps. And, it is VDSL/ADSL compatible with a 1GHz dual-core processor that delivers exceptional speed. Some of the unique features are a delivery of speed up to 1.9 Gbps! You have compatibility with any internet service provider and enjoys supports on ADSL/ADSL2/ADSL2+ and so on. You will also enjoy, remote access using OpenVPN, cloud storage system and dependable backup to USB HDD. Other features include dual band WiFi up to 600 + 1300 Mbps, 2, USB ports automatic back-up to HDD connected router and powerful amplifiers and antennas. Last but not least, we have a gem. NETGEAR manufactures these DSL modems. If one was to consider its perfectness, it is a product that makes every penny worthwhile. That is the reason why should not hesitate to purchase it. It is also compatible with both Windows and Linux operating system. This modem has a compact design, which ensures that it occupies little space. It also improves its portability if a need to relocate it arises. Regardless of that size, its performance is incredible. It ensures that service prioritization, which has many benefits, is possible. That is why it is on top of our list of the best DSL modems. Read on for other additional features. It is a broadband ADLS2+ MODEM. It also works with most of the ADSL internet service providers including CenturyLink, Qwest, Verizon, and AT&T. It has 2 USB ports comprising 2.0 and 3.0 USB ports. 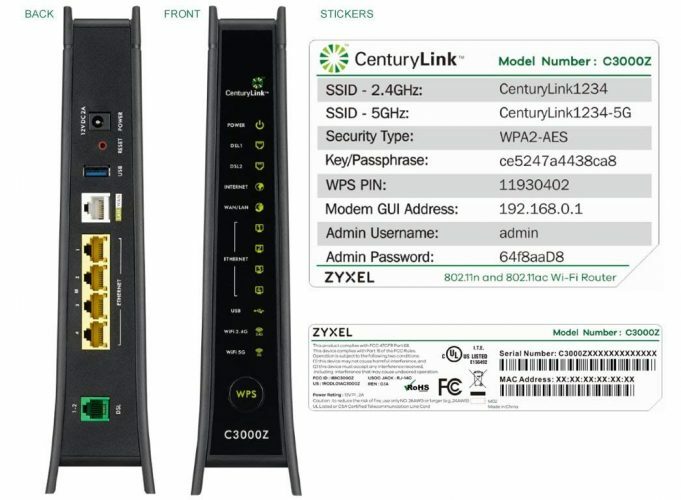 The next DSL modems are by ZyXEL. The product is all that you need for high performance and reduced crosstalk. It also supports a range of operators. That could change your internet connection for the better. To grasp that opportunity, you should purchase one. Below are other additional features for a more informed decision. It uses wired connectivity technology. That facilitates high-speed and reliable internet connection. It has a Gigabit Ethernet WAN/ LAN port. Its design also supports vectoring. It provides dual-band which promotes a wide range. Its backward compatibility sees to it that it connects even with older devices. It has a maximum frequency band of 5 GHz. Its TR-069 supports remote management, monitoring, and In return, there is fast deployment when it comes to service providers. Security is also top-notch with the NAT and SPI firewalls. Dimensions are 12.5 x 11.1 x 2.6 inches. The weight is 2.55 pounds. Motorola is a well-known brand since it never disappoints its customers. That is the same case when it comes to these DSL modems. It is compatible with not only Frontier but also CenturyLink. Equally important, it works well with most of the ADSL as well as VDSL services. That means it is worth buying if you want high-speed internet. Its design combines a VDSL2/ADSL2 modem and an AC1600 WiFi Gigabit router. With the combination, it can provide internet to Ethernet and WiFi devices. That makes it a perfect item for streaming media devices, game stations, HDTVs, computers, and smartphones. With DSL services using the telephone wiring in your home, which would save you about $10 every month. It is compatible with both ADSL and VDSL services. It saves cost since it works over one’s telephone wiring. The internet speeds us up to 100mbps. It has an inbuilt router that supports both wireless and Ethernet devices. It is safe because of the firewall and WPA/WPA2 wireless security. The device offers Virtual Private Network popularly known as VPN. The customer support is impressive. Dimensions of the items are 8.5 x 2.4 x8 inches. The weight is 13.6 ounces. Working on slow, unstable network is like getting stuck in the past. Don’t be. Get on any of the leading AT&T approved DSL modems and enjoy internet access at its best.